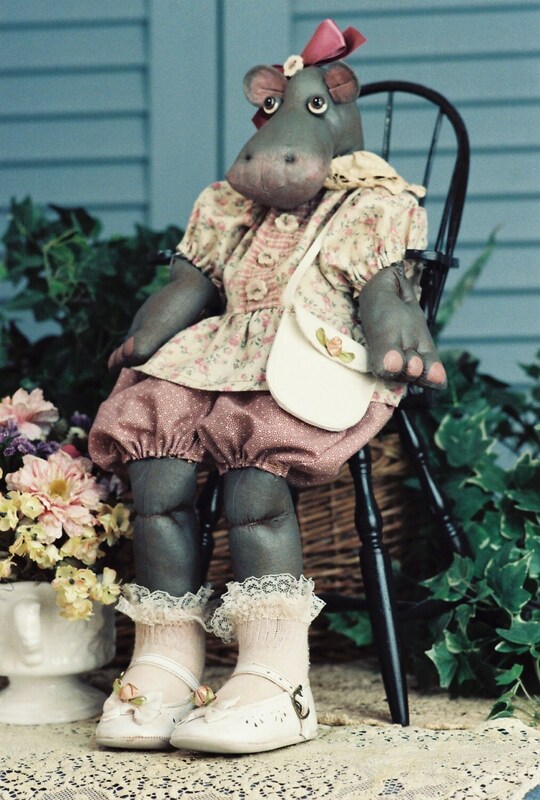 This pattern is of a 19" Baby Girl Hippo. The finished doll is probably one of the cutest dolls you will ever see. I love my Rosebud. I bet you will love yours. The doll is Stained and painted. The PDF file contains complete easy to follow instructions, doll pattern, clothing pattern and suggested materials list. Another gorgeous pattern. Easy to follow instructions. Looks fantastic finished. Very cute and easy-to-follow pattern.